ZEAL Optics thrives on outdoor adventure and empowering their people. At ZEAL, exploring and pushing your limits is encouraged, and sustainability is a huge part of the manufacturing process to ensure future generations will be able to take advantage of the great outdoors. We caught up with Mike Lewis, Director of Brand Activation & Digital Strategy at ZEAL to learn more about what makes the brand unique, how passion, adventure, and purpose drive the brand, and his favorite thing about being part of the ZEAL Optics team. Why is it so important to ZEAL to make quality eye protection? For us, vision is everything. Both literally and symbolically, having the vision to craft your style determines your path in life and being able to see that path clearly helps you navigate life’s successes and speed bumps. Our team, customers and family all live their lives outdoors in harsh environments where they’re exposed to the elements daily. From harmful UV and HEV light to encounters with rocks, branches and more, our goal is to provide a lifetime of amazing vision, clarity and eye health to create stellar adventures and memories. 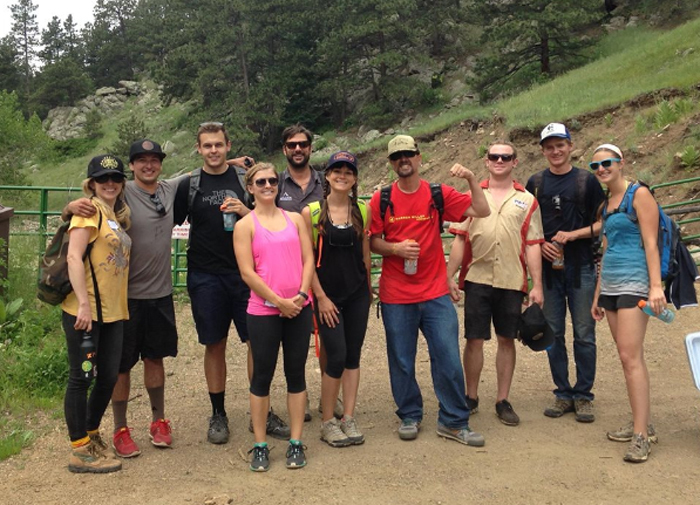 How has the culture in Boulder and Colorado as a whole helped shape ZEAL? The Colorado mentality is truly a part of the ZEAL DNA. Our backyard is such a diverse place, where people define and build their lives around their broad array of passions. Every day here is an opportunity to try something new, to push your limits and to discover new zones and truly #ExploreMore. At ZEAL, we build sunglasses and goggles that stand up to any and every condition that our family puts them through — our R&D lab begins at our front door. Every new style gets put through the ringer from climbing crags in Boulder Canyon, to splitboarding in Indian Peaks, to river surfing along the Front Range and in the high country. Our motto is “We Are All ZEAL” and we embrace an inclusive mentality for all pursuits. 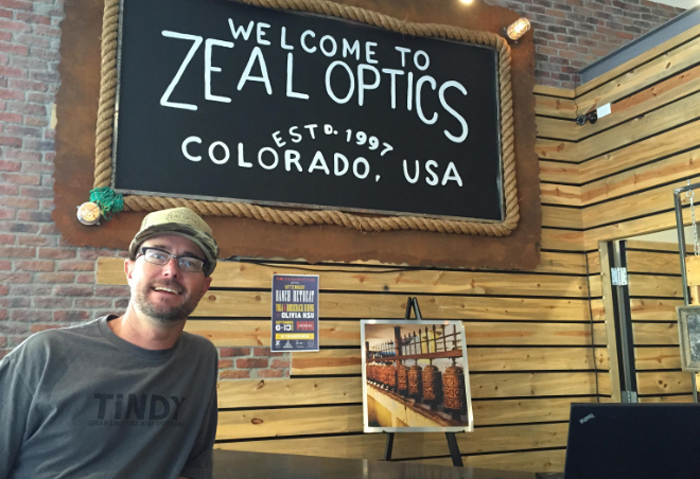 Whatever your passion, you’ll find your vision in ZEAL Optics, and while this broad approach to adventure certainly isn’t unique to Colorado, it is the rallying cry and appeal of the state. How do passion, purpose, and adventure drive the brand? We focus on more than just being an eyewear company at ZEAL Optics. We focus on the big picture – which is why we established brand pillars that define who we are and what we believe. Our three brand pillars translate into Passion, for using less and reducing our footprint; Purpose, giving back to the community through social responsibility and unique partnerships; and Adventure, enhancing outdoor experiences for a lifetime. How does sustainability play a role at ZEAL? It is ingrained in everything we do. We live, dream and play in the wilds around us and believe that a life without wilderness isn’t worth leading. We are proudly crafting a revolution in sustainable eyewear to do our part and build a better world for future generations. Every sunglass we make is built from plant-based materials, including a full line of biodegradable glasses made from US-grown cotton. This is just one part of our dedication to ecological innovation. Are we perfect? No. Are we continually improving? Most definitely. What impact has wearable technology had on ZEAL? It’s really what put the brand on the map. We were the first to launch GPS-enabled goggles, we were the first to launch goggles integrating an HD point-of-view camera, we built the lenses for Google Glass and we are incredibly excited to roll out our new Polarized/Photochromic Automatic+ goggle lens this winter. While it may not integrate electronics, we feel this technology, which changes tint with the light conditions, allowing for a clear, consistent visual experience on the hill while never changing your lens again, is the most powerful technology we’ve ever developed! When choosing new athletes and ambassadors to the team, what do you look for in the person? We work with Ambassadors that embody and live the brand’s pillars as much as we do. We look for people that are passionate about the outdoor world, exploring it in new ways and giving back to the community. We feel that life is about style, personality and finding your own path, and our family of Ambassadors is immersed in conquering their barriers and imagining new ones to break down every day and season. What types of projects does the brand participate in to promote and protect the outdoors? What is your favorite thing of being part of the ZEAL Optics team? Great question. It’s really the diversity of the sports and causes we’re involved in. Coming from the snowboard industry, it’s amazing to now be immersed in so many different outdoor communities at ZEAL. We work with explorers, climbers, surfers, skaters, snowboarders, skiers, fly fishers, mountain bikers and adventurers from so many different backgrounds that we’re all constantly exposed to new ideas and unique ways of seeing the world around us. Additionally, working with so many causes to promote sustainability and a healthy society on a grassroots level is incredibly satisfying. Seeing people rally around the brand, becoming conscientious consumers and exploring more every day is incredibly gratifying!